Belonging to biomass wood crushing machine, water drop wood hammer mill earns the name in virtue of its water drop shaped grinding chamber. Of course, such a structure is more for the sake of performance improvement than gorgeous appearance. 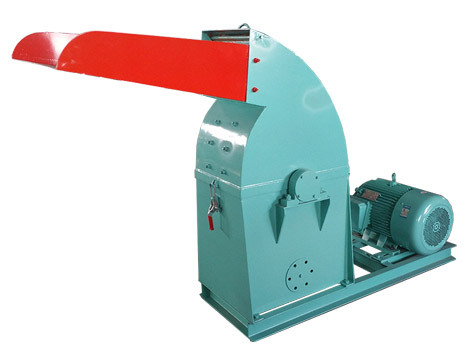 Apart from this, water drop wood hammer mill also has many other unique characteristics. Double attack technology enhances its crushing effect; Advanced feeding and discharging devices make the production more convenient; Reasonable base design steady its whole body; Components welded with international standard steel plates improve its mechanical strength and lengthen its lifetime. 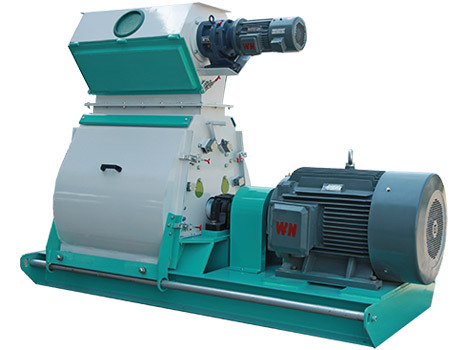 Water drop wood hammer mill is used in 1.5 T/H Complete Palm Waste Biomass Pellet Plant. 1. Free size switch technology: the switch between fine and coarse crushing is realized by changing the length of hammers, through which the clearance between hammers and sieves will be changed. 2. Twice strike technology: V-shaped twice strike slot is set on the bottom of crushing chamber, in virtue of which the terminal line speed of hammers can reach 80-95 per second and the capacity can truly realize an increase of 20%. 3. International energy saving technology: it adopts international energy saving technology can make the power consumption for each ton of materials achieve as low as 5.5 kw/h. From forestry, agricultural and fruit wastes to crops, a wide range of raw materials can be crushed by water drop wood hammer mill. 1. Forestry wastes: Wood chips, planer shavings, wood barks, sawdust, rotten wood and tree leaves can all be crushed by water drop wood crusher. These materials are easy to get in furniture factory, paper mill or even by the roadside. 2. Agricultural materials: Both harvesting byproducts and crops themselves can be used as raw materials for biomass grinding equipment. Harvesting byproducts: wheat straw, cotton stalk, peanut shells, corncob, grass, etc. Crops: corn, wheat, bean, coarse cereals, dry potato, etc. 3. Fruit wastes: coconut shells, palm kernel waste, olive pomace, etc. 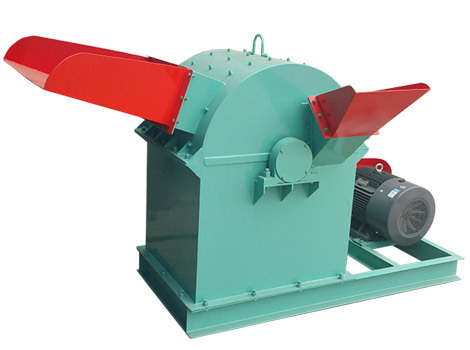 When large materials cannot meet product manufacturing, feeding or any other needs, water drop wood crusher can be applied to grind them into required size before further processing. Such application includes industrial, agricultural, as well as animal husbandry and household using. 1.Industrial industry. Pellet fuels are now widely applied in many factories. In spite of the simple operation and production, raw materials cannot just be pelletized directly because wood pellet mill requires its feedstock to be less than 6mm. Therefore, before further processing, a biomass wood crushing machine is needed. Besides, those plants that manufacture playground cover, landscape mulch and composite board will also use this equipment. 2.Agricultural industry. 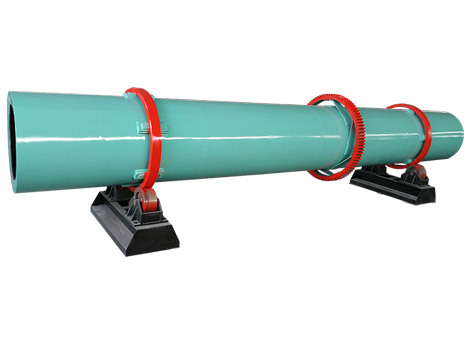 Water drop wood hammer mill can be used for the production of fertilizer. 3.Animal husbandry. Water drop biomass wood crushing machine can be used as a pretreatment tool for the production of animal bedding and feeding stuff. Same as wood pellet fuels, pelletized bedding and feed can be made from some specially selected materials. 4.Household using. With the improvement of people’s living quality, more and more lifestyles emerge in response to entertaining needs among which barbecue takes up an essential place. Wood briquette whose production need use biomass grinding equipment can be applied as its fuel. 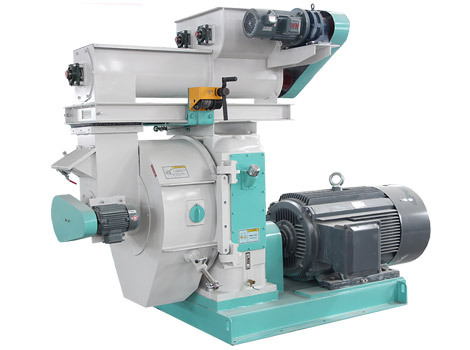 Water drop wood hammer mill is designed to crush raw materials into smaller particles in virtue of the friction between feedstock and inner hammers as well as collision of the latter on the former. After recycling and repeating impact, large materials are squeezed out from screens on the bottom. The diameter of end products ranges from 1.5mm to 10mm according to the size of screens.